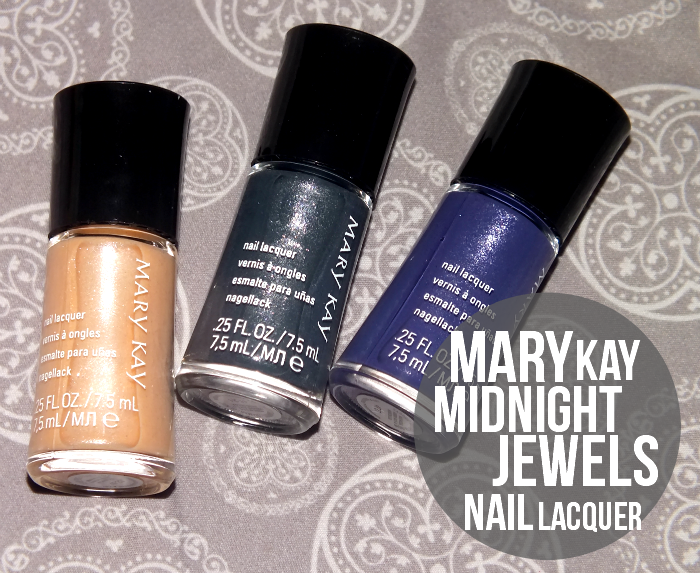 Continuing on with the Mary Kay Midnight Jewels Collection we have nails. Who can resist nail polishes, especially when they come in such cute little bottles? The trio of this collection gives us a dose of shimmer with a satin finish in saturated shades perfect for fall. Read on! Pearl Rose is a sheer, shimmering beige-gold. It gives a pearly shine with fine glitter, but is quite sheer and will never be opaque on its own. It does however happen to work perfectly over Sally Hansen Complete Salon Manicure Camfleflage, which gives the same shade as Pearl Rose in the bottle. The satin finish gives the overall look a soft, semi-matte effect. Sapphire Noir is a deep blurple (blue and purple lovechild) with fine silver shimmer. The shimmer gives the shade the look of a starry night which is quite pretty. The formula is perfection- this is almost a one coater. Two coats. Night Diamond is a gunmetal black with pink, green and silver shimmer. 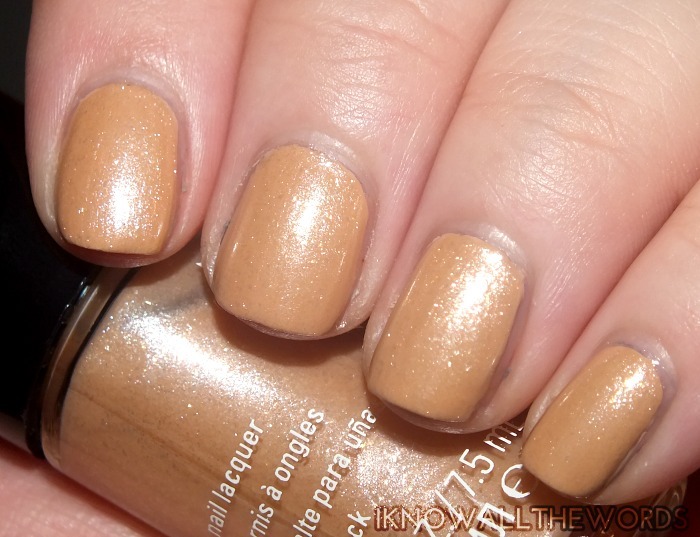 The coloured shimmer gives this shade that something special and is quite pretty on the nail when the light hits it. Another perfect formula- two coats. Overall, these are great polishes! I am quite fond of Sapphire Noir as it's a blue shade that is unlike any (and I do have my fair share) in my collection. What do yo think of these shades? Any you love?